Former wide receiver Reggie Wayne refused to join the growing chorus of NFL players who claim that playing for the New England Patriots and coach Bill Belichick is a miserable experience. In fact, Wayne denied a statement by Philadelphia Eagles guard Brandon Brooks that his short-lived comeback attempt with New England in 2015 came to an abrupt end because of his displeasure with the "Patriot Way." Wayne played 14 seasons with the Indianapolis Colts, earning Pro Bowl honors six times and finishing his standout career with 1,070 receptions -- 10th on the all-time list. Brooks never played for Belichick, but he did spend four seasons with protege Bill O'Brien with the Houston Texans before joining the Eagles prior to the 2016 season. In recent remarks to Bleeding Green Nation, Brooks pointed to Wayne as an example of how many players do not want to conform to the Patriots' way of conducting business. "It's crazy that people haven't known this," the 28-year-old Brooks said. "It's been this way for like a decade. You've seen -- Reggie Wayne did it. He retired. He went there (to the Patriots) for a training camp and retired. (Expletive) is not fun there." Wayne was part of one of the league's best rivalries between the Colts and Patriots, in no small part because of the duels between quarterbacks Peyton Manning and Tom Brady. So he had a sense of what he was getting into playing for Belichick and New England, which lasted only two weeks. 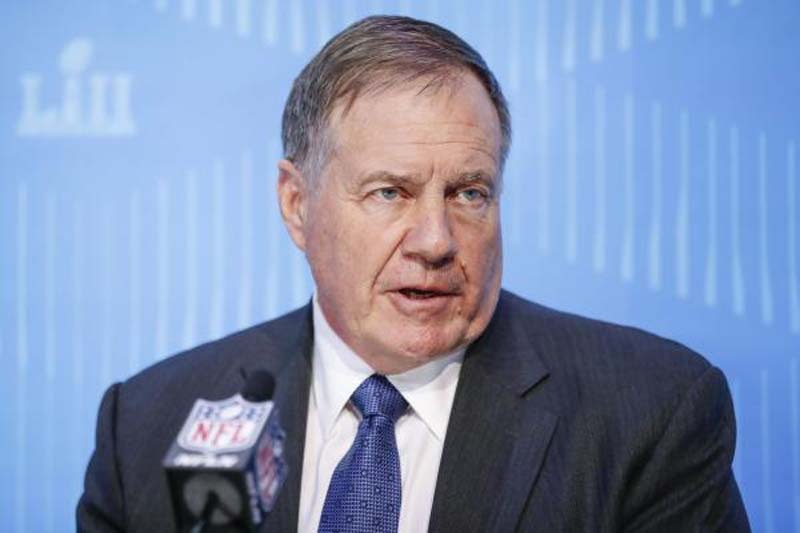 "Bill Belichick is not a party planner," said Wayne. "That is not what he is in it for. I think he's in it for winning championships, winning games for that organization." Eagles offensive tackle Lane Johnson and San Francisco 49ers defensive end Cassius March have criticized the Patriots in recent weeks. Johnson called New England a "fear-based organization" while Marsh said that he "wanted to get waived" by the Patriots in 2017 because "they don't have fun there. There's nothing fun about it." New England linebacker Dont'a Hightower acknowledged that playing for the franchise is not for everyone. "I mean, to each his own," said Hightower. "I I mean, it's not for everybody. It's definitely harder than most places, but I mean, that's part of it. A lot of guys know that when they come here." Belichick, who had guided the Patriots to eight Super Bowl appearance and won five championships, was not interested in how other teams go about their routines. "Yeah, we're focused on what we're doing, trying to get better and taking each day we can to try to improve our football team," Belichick said. "Not really focused on what everybody else is doing."